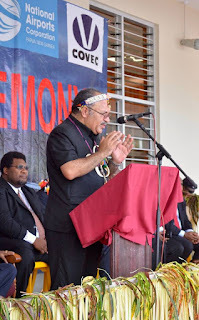 Prime Minister Peter O’Neill says the delivery of infrastructure, including new airports and roads throughout Papua New Guinea, are creating a better future for the nation’s children. 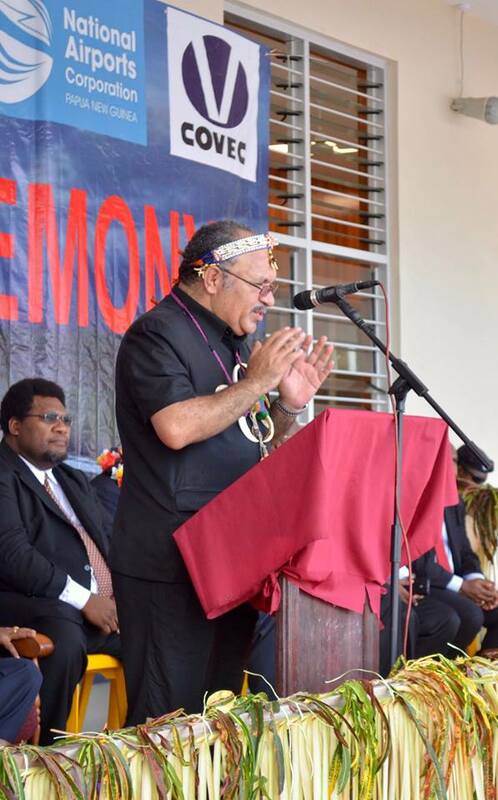 Prime Minister Peter O’Neill made the comments at the opening the new Hoskins Airport (domestic) terminal building project in West New Britain Province, creating new opportunities for travel and trade. "The bridges that we are building, the airports that we are building, the roads that we are building, and the ports and wharves that we are building will enable our people to have a better standard of living," Prime Minister Peter O’Neill said. "This infrastructure will create better opportunities so that our people can get a better income and live a better life." "Today our population is increasing at a very fast pace, and if we do not build infrastructure we will always be struggling. We will be struggling to grow the economy, struggling to provide opportunity for our people, struggling to deliver basic services to our people." The Prime Minister highlighted the importance of air transport infrastructure. "Papua New Guinea is a country that is remote, rugged and not yet fully connected, so air transport is vital to making sure that our people have access to services. "Our Government is very focused on what it wants to do. "We will expand Port Moresby Airport, we will rebuild Nadzab Airport, we have started to rebuild Goroka Airport, we have just reopened the Kagamuga Airport, and every airport in the country is being rebuilt. "We are focused on key infrastructure that is going to improve our people’s living standards for many years to come. "Our children deserve a better future and we will deliver this. "We have not finished yet, and we have a long way to go. "That is why we need stability in the leadership and the politics of this country. "That is why it is important that we stop playing politics, we have to work together. "You can see what is happening in West New Britain where you have a government that is focused. "You have a Government and a Parliament today that is focused on delivering change. "I know that our people are welcoming the change that is happening all throughout the country." Finally, the Prime Minister thanked people who had worked together to deliver the new airport. "A lot of people have done a lot of work to make sure we deliver this project. "Thank you to all involved, the contractors and workers, our Civil Aviation Minister, Governor Sasindran Muthuvel, and the Asian Development Bank, for delivering a world class terminal for our people here at Hoskins."